A city of linden trees, poets and artists, Stara Zagora is Bulgaria's sixth largest city. It is also one of the country's most modern cities with comtemporary urban planning, a well developed economy and a rich cultural life. Through the combined efforts of our local government and business community, Stara Zagora has become a vibrant and attractive place to live and invest. It isn't merely by chance that people have lived here for 8,000 years! 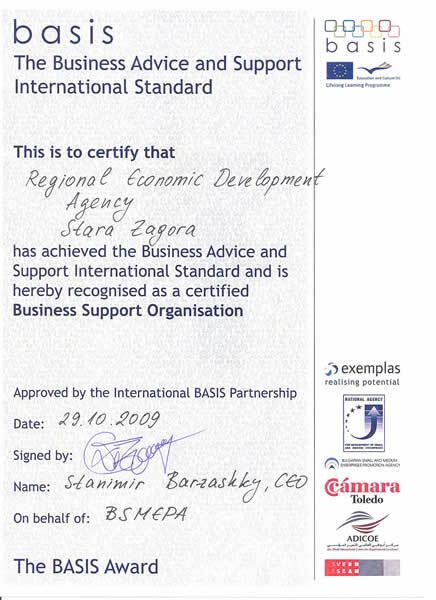 The Municipality of Stara Zagora, with Standard & Poors rating of BB+, welcomes you to become part of our community. Please contact the Regional Investment Promotion Centre regarding the opportunities and advantages we offer. The favourable transport and geographic location of the municipality of Stara Zagora is one of the most important advantages of the municipality and an important factor predetermining its competitiveness. The automobile and railway transport lines provide excellent opportunities for establishing trade contact swith the countries in Europe, the Near East and the Middle East. 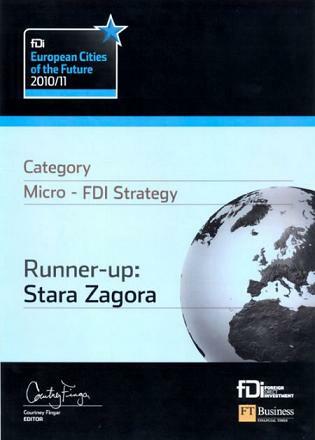 The municipality of Stara Zagora is a dynamically developing region, striving to achieve and maintain a competitive economic engine to support a higher living standard for the entire population. The city of Stara Zagora is the administrative centre of both the municipality and the Stara Zagora region. It is the 6th largest city in Bulgaria. With its economic, transportation, communications infrastructure and its scientific, cultural and educational resources, it influences both the dynamics of development within the municipality, as well as the overall development of the region of Stara Zagora, Central and Southeast Bulgaria. Promoting the development of intellectual and highly industrial manufacturing enterprises. Stimulating private businesses, and its orientation towards the development of viable and highly adaptive small and medium sized enterprises. Developing fully constructed production areas such as industrial parks, technology parks and logistic centres. Find more info at Tourism Information Centre - Stara Zagora tour.starazagora.bg.